To be clear we don’t expect a huge intrigue at the US Open this year. Andy Murray and Novak Djokovic will most likely cross their paths in the final, and judging by the draw, Djokovic will arrive there fresher. Like it or not, but these guys are much stronger than everyone else at the moment. On the other hand, sport is sport and there’s always room for surprise. Nishikori is always a surprise. He is a top class player. In his peak form he can beat everyone, including Djokovic. In this respect, Murray is, perhaps, the least convenient opponent for the Japanese. Kei had simply wiped Nadal off the court in Cincinnati, when his fitness allowed him to do so, before he was beaten by Murray in the next round. All he needs to remain competitive is to stay healthy during the entire tournament. 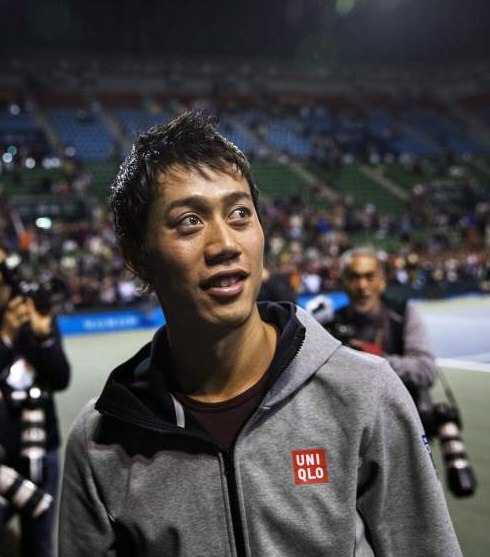 Many have already written Kei off, but the Dotennis team wants to remind you that last year the Japanese had been in the same conditions on the eve of U.S. Open, but managed to stop a step away from the title. So don’t discount his chances just yet. It will be interesting to see what Nadal is capable of. He always feels comfortable playing long matches (when there is enough time to adopt and turn game into the right direction). Djokovic – Nadal quarterfinal is more than possible, but Nadal’s chances to win there are miserable. As for the rest, Dimitrov and Raonic are simply not ready. Second U.S. Open title in a row for Cilic? – highly unlikely to happen. Wawrinka’s chances for victory are slim either, for it will be hard for him to restore psychological balance after the incident with Kyrgios. Berdych can’t win a Grand Slam title which he has proved many times. Gasquet is physically weak. So, to sum it all up, an interesting U.S. Open is expected this year, although, as we mentioned earlier, the outcome is quite predictable.